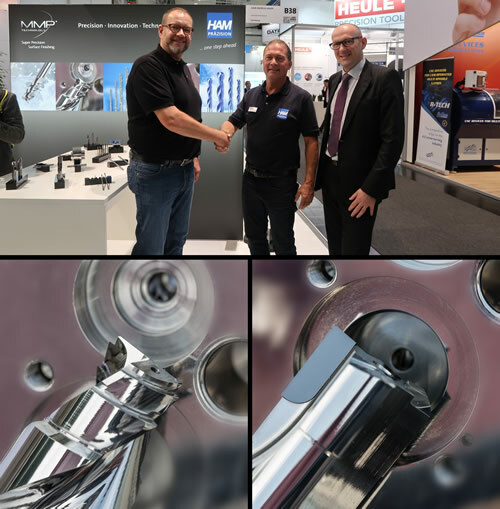 HAM-Hartmetalwerkzeugfabrik Andreas Maier is focusing on a new process the MMP TECHNOLOGY ® (Micro Machining Process) owned by the Swiss company BINC INDUSTRIES: the selective processing of microstructure roughness allows to refined surfaces of solid carbide (VHM) tools highly precisely. The cutting tools thus treated have significantly better surfaces than conventionally polished. HAM has secured with BINC INDUSTRIES SA, the European-wide exclusive right to use the MMP TECHNOLOGY ® for an essential part of its portfolio for this procedure.